The Birmingham Jefferson Civic Center Authority is an Alabama Public Corporation established by Act 547 (as amended) of the Alabama Legislature. Members of the Board of Directors manage the affairs and business of the Authority in accordance with its Bylaws. Members are appointed by the Jefferson County Legislative Delegation. 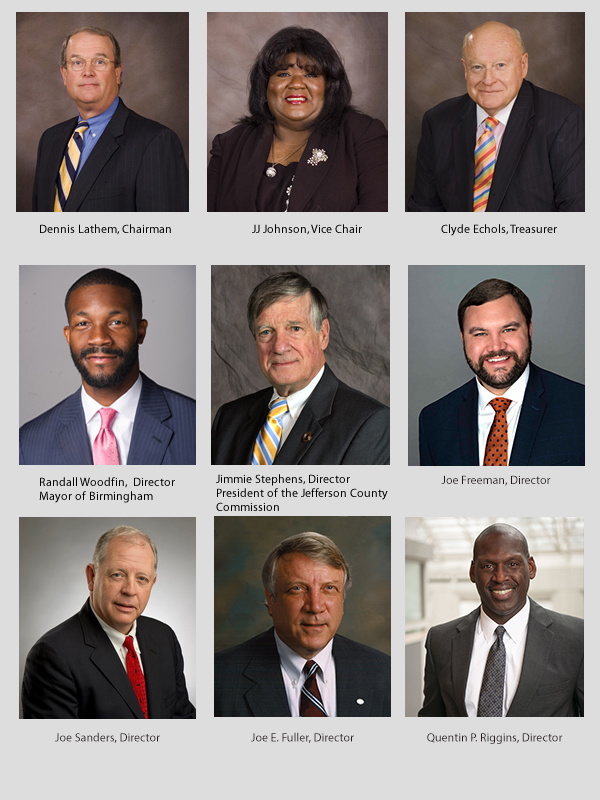 Ex Officio Members include the Mayor of the City of Birmingham and President of the Jefferson County Commission.